…there lived a good, wise and powerful king who ruled over a vast kingdom. The king loved his people and cared deeply for their happiness and well-being. He knew the needs among the people in his beloved realm, and he was always watchful and did many things for their good that they did not even realize. This good king saw a coming crisis in his land, and gave much thought about how to prepare for it. After much consideration, he determined to send his newborn daughters and sons to be raised in various distant parts of his land. Our story is about one of these: the Princess Alcinda. No one knew the secret of the little Alcinda’s lineage, and she was trained to be an obedient and careful girl. Because of her royal heritage, she had, within her, the powerful virtues intended for serving and blessing others – virtues that her wise and powerful father had instilled. These virtues of healing the sick, comforting the afflicted, cheering the hopeless, building and sharing prosperity, inspiring courage, resolving conflict, spreading beauty, edifying families, freeing the captive, and many more, lay dormant, waiting for her to develop and call upon them in order to serve and bless others, as her father the good, wise and powerful king intended. But Alcinda did not know. Nobody remembered, if they ever knew, of her powerful potential to serve her people. Time went by and as she grew she had inklings of the abilities that she had been endowed with, as here and there an opportunity came to be a comfort to a friend, to rise to a challenge, to inspire another to bear up under a heavy burden. Sometimes she marveled at the little bit of power that flowed through her to make life better for others, but then (since she didn’t understand it, and scarcely believed it) she would forget again. Just as the king had foreseen, the land in which Alcinda lived was beset by many challenges. During this time of mounting troubles, the girl married a boy, and by and by they had a family of their own. As the secret princess looked upon her fine young son and her two lovely daughters – as she looked into their eyes – something deep within her stirred. Because of her royal heritage, Alcinda had the power to sense the great potential for good and right that was within these children. She was able to see within them – much more clearly than in her own self – the virtues that had been passed on. She could sense that these children had been born to fill a need and to make a difference in the world. She was nothing short of amazed at the strength of will in her youngest daughter, and her gift for spreading beauty. Her son had a tender heart for those in need and the courage to defend the right. Her middle daughter had a profound sensitivity for truth and wisdom, and was a peacemaker and a bridge builder. In her heart of hearts Alcinda sensed (even if her mind did not realize) that these children were born to live up to the standards of service taught and exemplified by the storied king. And so, the forgotten princess shared her feelings with her husband and they determined to honor the potential in these children, at all hazards, at all costs. It was not easy to overcome her habits and her experience. She often faltered and doubted her ability to do what was needed. And yet the imperative of raising these children to approach their great potential for good impelled her to dig deeply within – and the virtues she didn’t remember were quickened and alert, ready to help her to rise to the task. 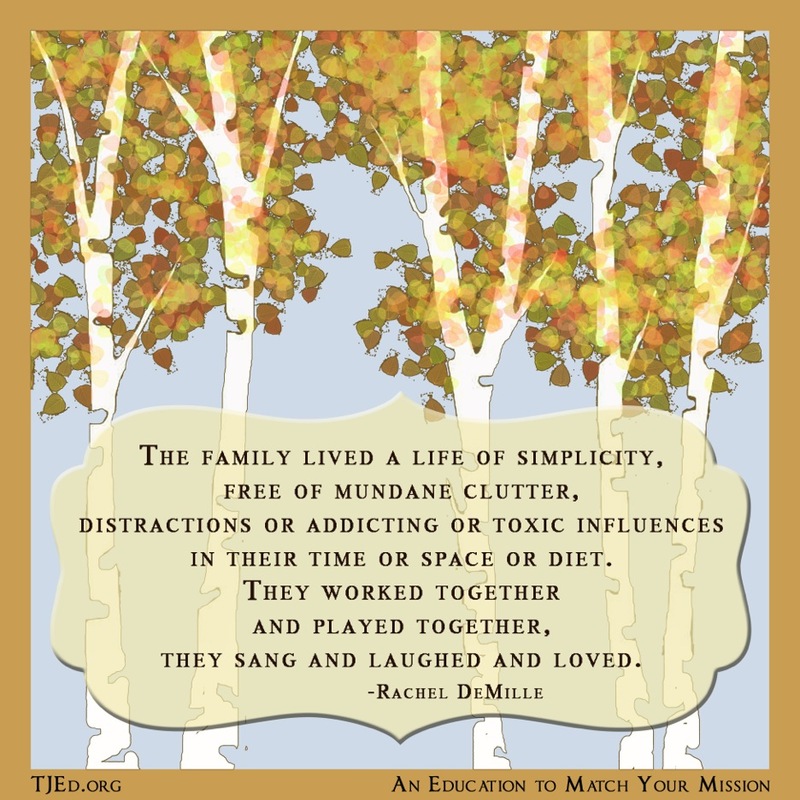 The family lived a life of simplicity, free of mundane clutter, distractions or addicting or toxic influences in their time or space or diet. They worked together and played together, they sang and laughed and loved. They struggled at times with need and plenty – each being a challenge in its own way. They struggled because the life they had chosen seemed out of step with the norm, and few were those who celebrated their choices; fewer still were the examples they could look to for what they meant to accomplish. They had to make their own way. Over time, they came to understand that this was a gift – because no friendship, no example, could be enough to guide their steps as they sought to uplift the minds and hearts of these gifted young people that were their children. The couple’s sense of neediness and drive to find answers were critical factors in their success. Everything depended on the princess Alcinda and her worthy companion seeking inspiration to personalize each week and season to meet the children’s need and genius in the here and now. No checklist could suffice; no master plan could fully inform the nuances or help them respond to the need of each child each week. As the family read together and learned to share their hearts, as they explored their vast land and its stories and heroes, its natural beauty and resources, its hard times and its successes, as they learned about those who created great works of art and great advances in knowledge and those who invented ways to do things in new and better ways, and as they learned the principles that govern success in every arena, the young prince and princesses began to have a longing to be a blessing to others… to their people. They began to yearn to serve and help, to inspire and heal, to prosper and create. They knew that their parents believed that they would be noble, selfless and well-prepared to meet the challenges of their day, and their parents’ confidence in them empowered them grow into youth who worked hard to develop the virtues and gifts within them by using them daily within their families and other relationships. As they saw how their parents’ efforts to learn and achieve in their own right were inspired by a desire to serve and make a difference for good – no matter how private or unheralded, no matter how great or momentous – the youth began to work hard on their own education. 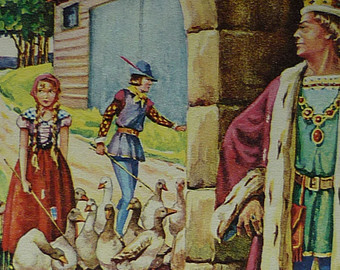 As these young heirs grew and began to exhibit a sense of purpose for their life, something amazing happened: the secret princess, their mother, began to be less afraid of the virtues that were her birthright. Alcinda began to concern herself more with her ability to a make a difference for good than for fitting in and doing the “expected” thing. And as she did, an even more amazing thing happened: here and there, she began to notice that other secret princes and princesses in the land were also revealing their true heritage as they determined to make choices that were immediate and deliberate, for the good of their own young princelings and princesses. Little by little, a web of community was formed between these families who, each in their own way, were responding to the call of potential and need. Sometimes their choices and forms were similar; sometimes they were very different. But the call to respond to the need in the world and to empower the royal virtues within to bless and serve others was the thread that bound this community together. The king was pleased. Alcinda* and her many brothers and sisters were doing what they were born to do. He could see that his sons and daughters were discovering the secret – that they all had virtues within, and that his care and protection had never left them. And they all lived joyfully, simply, boldly, nobly, purposefully and selflessly ever after. Thanks so much for this inspiring parable. I love the analogies, and your focus on the Alcinda (fun name) and her husband carrying on together. Needs some illustrations!